The first edition of The Walker's Handbook was published in 1978. This, the 5th edition, has been completely re-written and updated to include the latest developments in the world of walking. 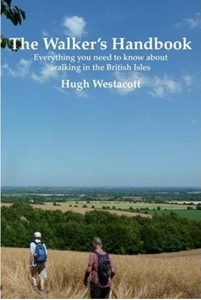 It is in manual format and pays particular attention to the needs of novice and inexperienced walkers who enjoy walking in the lowland countryside, as well as providing advice and information about walking in the more demanding environments of mountain and moorland.Subjects covered include behaviour in the countryside, kit and equipment, maps and navigation (six chapters), footpath guides, safety, first aid and mountain rescue, and walking in winter. There are chapters on walking in each of the countries of the British Isles, walking holidays, backpacking, challenge walks, peak-bagging and walking festivals, clubs, walking with children, letterboxing and geocaching, and how to lead walks and walking tours. There is a 9-page list of useful organisations, and a 6-page glossary of walking terms. In order to assist readers to find information quickly there is an 11-page list of contents, and a 12-page index that refers to numbered paragraphs.The Walker's Handbook is the only book currently in print that contains virtually all the information that most walkers require. For those who want to pursue specific subjects in even more detail there are extensive bibliographies of useful books.